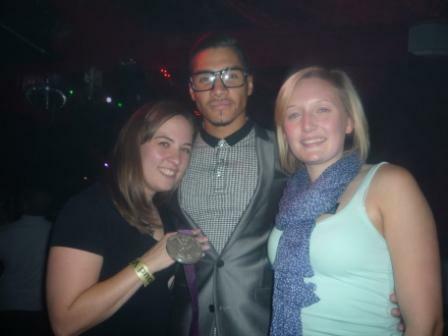 Home - Who’s Excited to see Louis Smith on Strictly Come Dancing?! Who’s Excited to see Louis Smith on Strictly Come Dancing?! The buzz is building around the start of Strictly Come Dancing starring Anglian Home Improvements sponsored gymnast and silver medalist, Louis Smith. As a British company who are proud of their heritage, Anglian set out to support young, upcoming British athletes who would be working hard towards their dream – to take part in the Olympics. This proved a great success as Anglian-backed, Mark Hunter and Louis Smith both won medals! Having sponsored Louis since 2011, spotting his talent relatively early in his career and supporting him en-route to the 2012 Olympics, we have followed his rapid rise to fame as he went from a local East Anglian gymnast who won bronze at the Beijing Olympics in 2008 to the face of the Great British Olympics team. On the build up to the Olympics he gained more high profile sponsors, including BMW and Adidas, appearing in Lucozade Sports (another sponsor) adverts and increasing his own profile further through TV shows and interviews. Since his memorable battle for silver in the pommel horse, where he narrowly missed out on gold, Louis has moved from gymnastics to dancing for the next few weeks as he is a contestant on Strictly Come Dancing, paired up with Flavia Cacace. When we caught up with Louis 2 weeks ago he told us how his training is “as hard as training for the Olympics” and that he has got some achy hips! Louis is already tipped to win the show, although in a 4-page interview with the Telegraph, Louis Smith told them how doctors claim his back is like that of a 40 year old. Hopefully this will not hinder his chances of success in this programme, but he can carry on waltzing knowing he has the votes from the staff at Anglian. We all wish him the best of luck! A fortnight ago we attended a thank you event put on by Louis and his team, who wanted to meet all of his sponsors to share his success story and thank them in person. He told us how Flavia wanted to be successful in this year’s competition and that he finds the pommel horse training easier! I don’t know what you think, but I would rather dance than practice the pommel horse! So, here’s some questions for all of you Strictly fanatics – what dance do you think Louis will get top marks for? What judge do you think will love Mr Smith? And finally, do you think Louis can win it – does he have your vote? Let us know using the comment panel below.